Senior Teaching Assistant with responsibility for medical care, Mrs. Emma Hibberd explains, “We are delighted to work with SADS UK (Sudden Adult Death Trust) to organise a IPAD Automated External Defibrillator and key code lock cabinet to be installed at Prince of Wales School, Maiden Castle Road, Dorchester, Dorset. DT1 2HH. The device is now fully working and available to the school and local community”. Headteacher at The Prince of Wales School, Mr. Gary Spracklen explains, “Our school community have raised the funds, dug the trench and laid the power cables to make this happen. It shows what can be achieved when people work together. We are very grateful to everyone who has helped make this possible”. 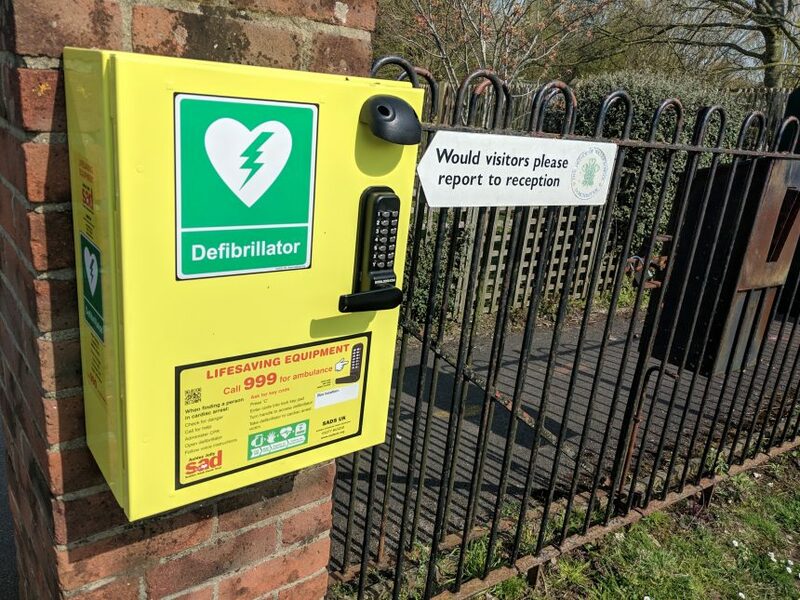 Founder of SADS UK, Anne Jolly MBE, speaking about the trust states, “SADS UK works with schools and highlights the fact that as schools are a major hub in the community they should have defibrillators in place to save lives”. The defibrillator placed at The Prince of Wales School is easy to use as it provides voice prompts to the rescuer.